Thomas Jefferson wrote, “All men are created equal”,while being a slave owner. He called slavery repugnant and called for its abolition, but emancipated only a handful of the few hundred slaves he owned. So how does one understand Jefferson? When he wrote about the equality of men, was he talking only about White men or all men? If he made public statements against slavery why did free only a few? Was there a contradiction between his public position and private behavior? 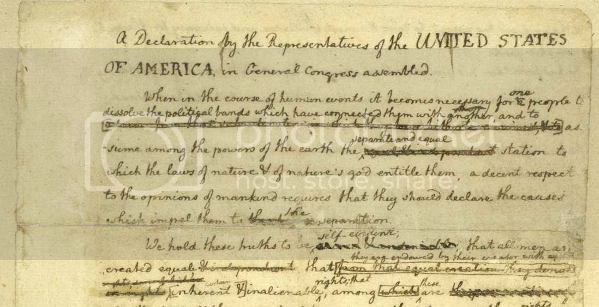 Jefferson’s position on slavery in the new country was anything but complicated. When he wrote the Declaration of Independence, he was drawing on Scottish moral sense philosophy and when he equated men, he was equating them in the moral sense. For Scottish thinkers, people who had Common Sense could grasp self-evident truths. A republic with such ideals would enhance the quality of its citizens and also advance the interests of the whole and make them consent to a social vision. What was required was the ability to set aside self interests and pursue the common good. Moral sense gave people dignity and Jefferson did not exclude Blacks from this claim. “I hope preparing under the auspices of heaven for a total emancipation”, he wrote in Notes on the State of Virginia because he thought that slavery was morally wrong. He thought that the “commerce between master and slave is a perpetual exercise of the most boisterous passions, the most unremitting despotism on the one part, and degrading submissions on the other.” He wrote about the immoral aspects of slavery which allows one set of the citizens to trample on the rights of the others and thought that these practices were inconsistent with Republicanism. Though he talked about emancipation, he did a lot to expand slavery in the union and make it an engine of economic growth and political power. A century before Herbert H. Risley defined 2378 castes as belonging to 43 races on the basis of their nasal index in India, Thomas Jefferson used dubious science to define the difference between Blacks and Whites. He noted that the Blacks were brave and adventurous and easily entertained, but they were inferior to the Whites. Jefferson writes, “but never yet could I find that a black had uttered a thought above the level of plain narration never seen even an elementary trait of painting or sculpture”. They had good memory, but “in reason,much inferior as I think one could scarcely be found capable of tracing and comprehending the investigations of Euclid and that in imagination they are dull tasteless and anomalous.” He also found “They secrete less by the kidneys, and more by the glands of the skin, which gives them a very strong and disagreeable odor.” But that did not prevent him from having an affair with Sally Hemings who was a teenager and thirty years younger. He had six children with her whom he did not acknowledge, but they were the only people whom he freed. Since there were substantial differences between the races he thought freeing the slaves would create problems because “Deep rooted prejudices entertained by the whites ten thousand recollections by the blacks of the injuries they have sustained new provocations the real distinctions which Nature has made and many other circumstances will divide us into parties and produce convulsions which will probably never end but in the extermination of the one or the other race”. He rejected the idea that the two races could co-exist. Since that could result in a civil war, his solution was to send the freed Africans back to Africa or somewhere outside the colonies where they could not mix with the white population(“he is to be removed beyond the reach of mixture”) and live as “free and independent people” . He wrote, “For if a slave can have a country in this world it must be any other in preference to that in which he is born to live and labor for another in“. At the end of his presidency, Jefferson left slavery an immensely strong institution after the Louisiana purchase and the spread of slavery across the continent. He even provided the intellectual defense of slavery. When Missouri wanted to join the Union as a slave holding state there was a debate over it and Jefferson took the side of the slave holders. He wanted the northern states to recognize slavery; for him the expansion of the country was more important than the abolition of slavery. During the purchase of Louisiana under his presidency, he did more than anyone to change the terms of slavery for slaveholders. 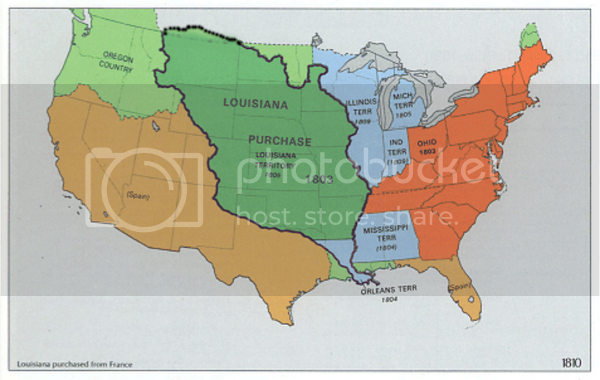 This purchase added significant slave territory to the nation and with the surge of cotton production slavery expanded to new regions within southern states and to territories further west. There emerged an invigorated interstate slave trade, and hundreds of thousands of slaves, particularly in the Upper South, were separated from families and sold to labor on cotton fields in the new states.